I have the warmest, coziest recipe for you that is perfect for special occasions or chilly fall/winter evenings! My hubby loves pears and I was so excited to make this for him. 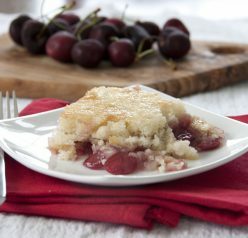 It’s not often I think to make a pear cobbler as I normally use other fruits (like this Old-Fashioned Blackberry Cobbler or this Cherry Cobbler). This Holiday-Spiced Pear Cobbler was a welcomed change of pace for my cobbler baking and everyone loved it! 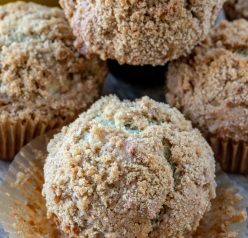 How can you not love juicy pears topped with a sweet crumb mixture? 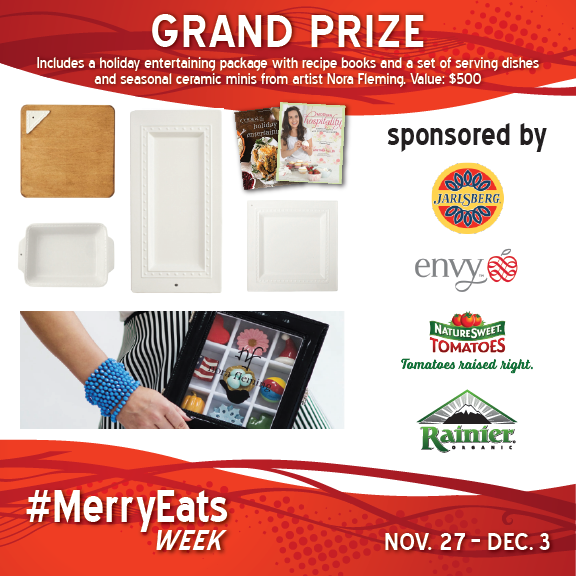 Scroll down for an amazing holiday giveaway I have going on right now! When I was a kid, I was the #1 pickiest eater in the entire world. There were approximately 54829295 different foods that I would not eat or that had to be altered for me before I would eat them (i.e. all of my spaghetti sauce was put through a strainer before being consumed). If you don’t believe me, just ask my mom about her cooking dinner for me woes. Even as an adult, I have to admit I’m not a lot better. I will try virtually anything now, but I have a small list of foods I really thoroughly enjoy eating. One food I wouldn’t touch for the longest time was any dessert with fruit in it. Isn’t that insane? Trying this Holiday-Spiced Pear Cobbler makes me wonder how I ever went through life without a warm fruit cobbler. 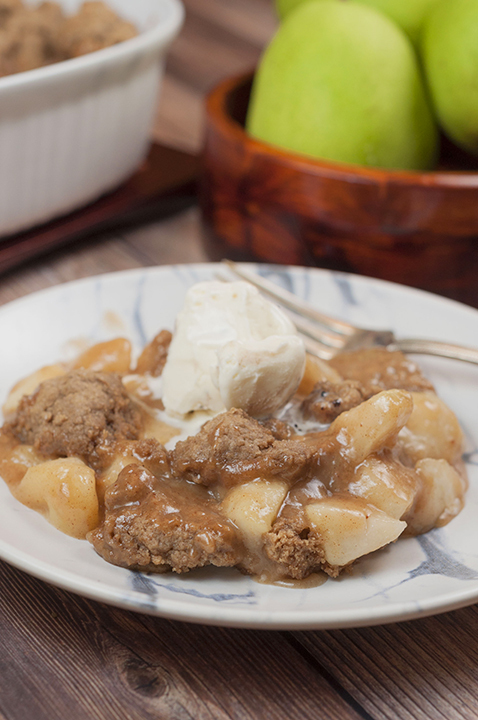 The spices in this Holiday-Spiced Pear Cobbler are like all of the holidays rolled into one dessert. It’s as if I’m eating Christmas. This is so simple to make and just delightful. 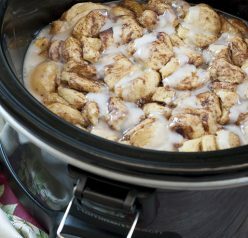 It would be so enjoyable on a cold winter night or for dessert on Christmas day. The crumbly, buttery topping is irresistible. Serve it with a scoop of vanilla ice cream on top if you’re feeling a little crazy and looking for a little extra decadence! 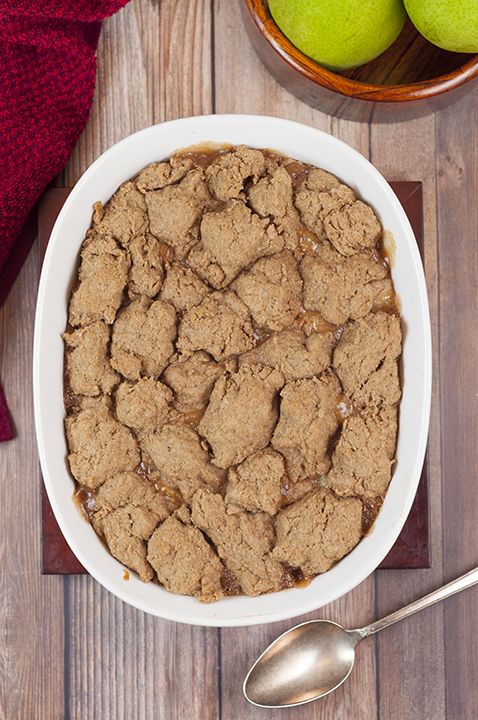 Another holiday cobbler you will love is this Pumpkin Pecan Cobbler. Enjoy! 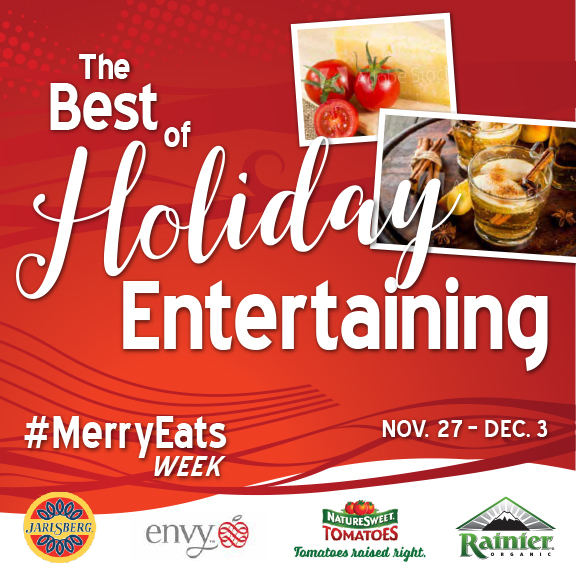 Scroll down below the recipe to fill out the EASY form to enter! Disclaimer: Thank you to Rainier Fruit for sponsoring this conversation. All opinions remain 100% my own, as always. Thank you for allowing me to share the brands and products I use regularly and love. I bet this is so good!! Yum!! I love pears and fruit cobblers are so good so I know this is going to rock! I am such a sucker for a cobbler, especially a holiday spiced one! This looks amazing! 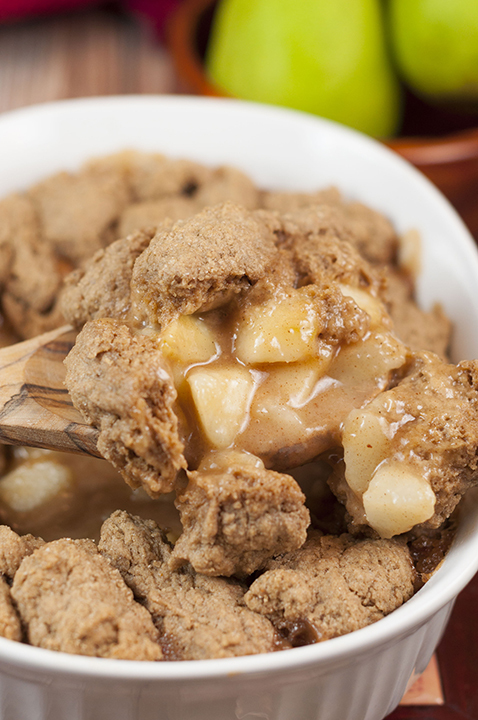 Oooh, I love the sound of this pear cobbler, yum!